I’m off to Kiribati next week to start work on the country’s United Nations Diagnostic Trade Integration Study. 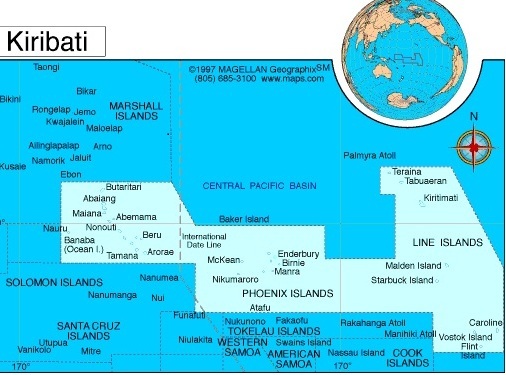 Kiribati was known as the Gilbert islands under British rule, and comprises 32 atolls scattered over 1.3 million square miles (an area bigger than the Caribbean sea, according to Encyclopedia Britannica). Across the international date line to the east is Christmas island, famous as the site of nuclear bomb tests by Britain in the late 1950s and by the US in 1962. 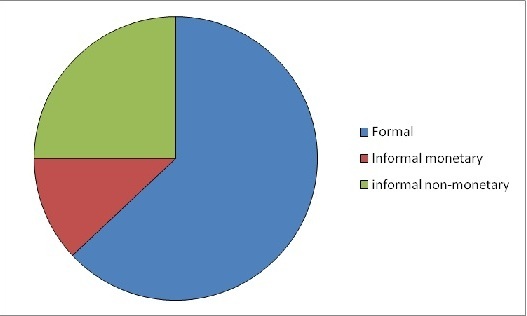 According to the first graph the informal economy comprises about a third of GDP and informal non-monetary activities about a quarter. Plenty of cash transactions take place outside the grasp of government. 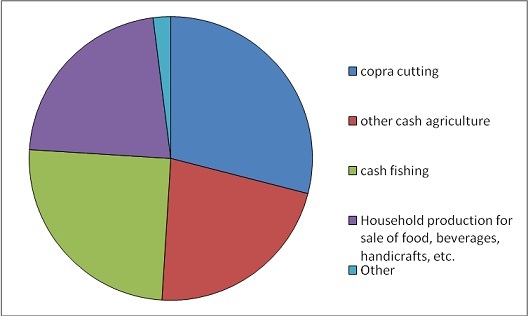 The second graph shows that in the informal economy, the I-Kiribati people earn money by fishing, copra cutting, other sorts of agriculture and household production for sale of food, drinks and so on. The third graph shows that non-monetary GDP comes mostly from subsistence agriculture and owner-occupied dwellings. Subsistence fishing also plays a part. 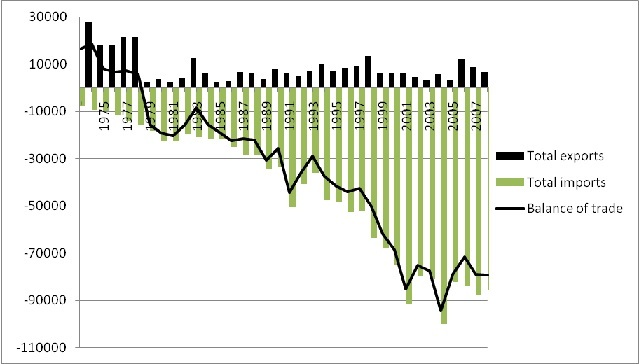 Finally, exports have been low and volatile for the three decades since independence, whilst imports have grown rapidly with the growth in the overall economy and population. The trade deficit has headed in a distinctly southerly direction. So despite the economic growth that Kiribati has undergone over the last 30 years as well as globalisation and doubtless many millions of aid dollars, lots of I-Kiribati still fish for their tea, grow their own food and make things at home. Without the help of government policy, they are engaging in import substitution. The question is: should we base our policy suggestions only on measures that expand the formal economy, as many development economists would surely suggest? It’s possible that policy is so bad that a few tweaks here and there will turn Kiribati into a great trading nation. But given that many people are probably quite happy with their current lifestyles, as is my experience elsewhere in the Pacific, should we be rendering them yet more reliant on imports and more vulnerable to the vagaries of the international economy in the vague hope that the formal economy might grow a bit faster? Probably not. It would be interesting to see if any import regulations were made as part of their independence. In response to your last paragraph, I have read that some countries are moving away from the ‘Western’ model of measuring an economy by GDP to a new happiness model that maps how happy their population is as well.